Glenn in the Friendship 7 spacecraft during his Feb. 20, 1962, flight around the Earth. 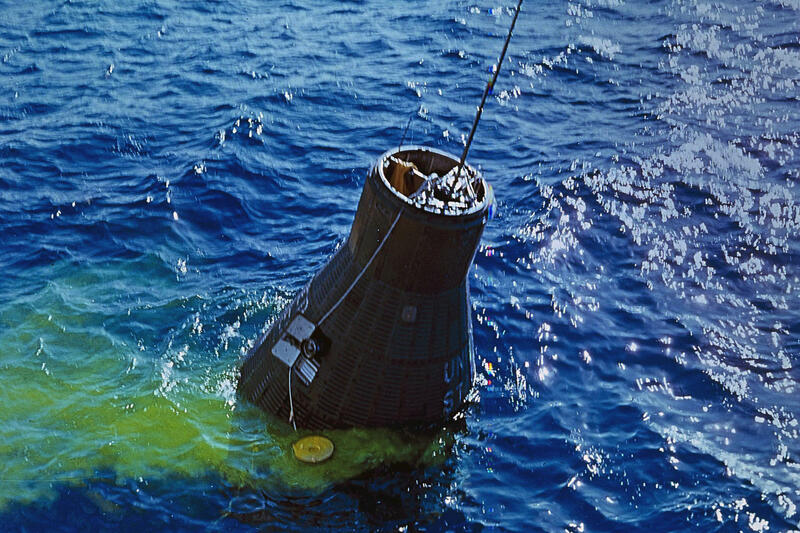 The Friendship 7 capsule containing Glenn is recovered from the Atlantic by the destroyer USS Noa. 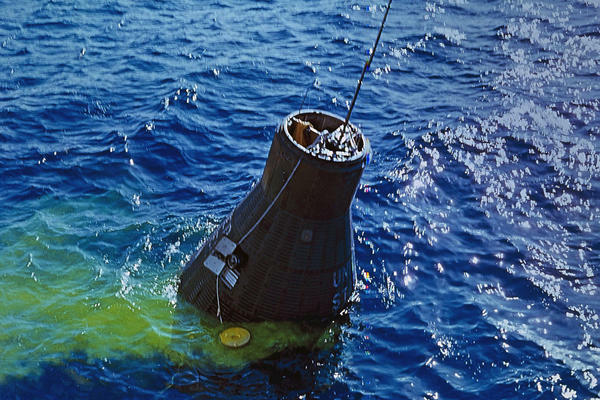 The yellow coloring in the water is dye to make the capsule more visible to the recovery crew. Glenn kisses his wife, Annie, after their post-spaceflight reunion at Patrick Air Force Base, Fla. To their left are their daughter and son, Lyn and David. 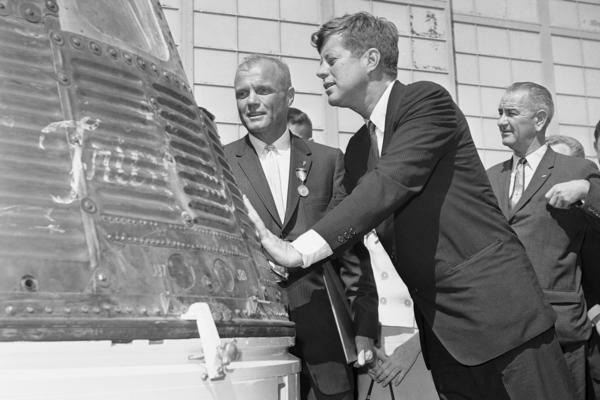 Glenn and President John F. Kennedy inspect the Friendship 7 capsule that Glenn rode into space. Kennedy presented the Distinguished Service medal to Glenn at Cape Canaveral, Fla., on Feb. 23, 1962. 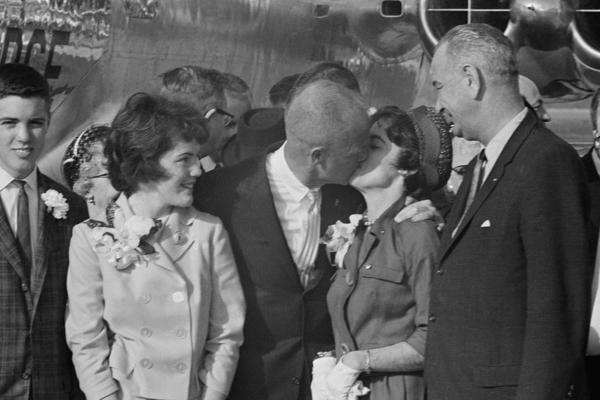 Vice President Lyndon Johnson is in the background. 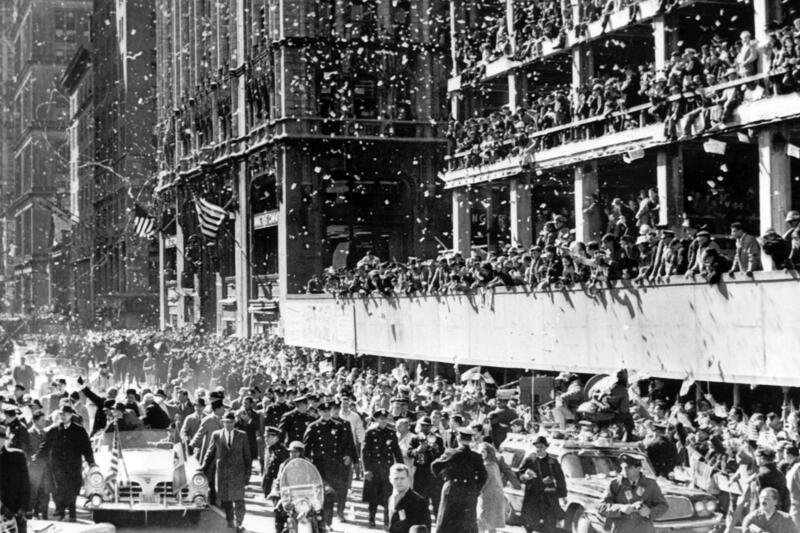 Glenn received a massive ticker-tape parade welcome along lower Broadway in New York on his way to a ceremony at City Hall on March 1, 1962. Sen. John Glenn, D-Ohio, one of the keynote speakers at the July 12, 1976, opening of the Democratic National Convention, responds to greetings on the floor of Madison Square Garden in New York. Glenn (center) shakes hands with unidentified supporters in Birmingham, Ala., on Super Tuesday, March 14, 1984. Glenn and Colorado Sen. Gary Hart were in a tight race for second place in the Alabama primary. Space shuttle Discovery lifts off on Oct. 29, 1998. Discovery carried a crew of six, including Payload Specialist John H. Glenn Jr., senator from Ohio, marking his second voyage into space after 36 years. Glenn returned as the world's oldest astronaut to the high frontier he pioneered for America 36 years prior. Glenn checks out support equipment for an experiment during the shuttle's orbit above Earth on Nov. 4, 1998. 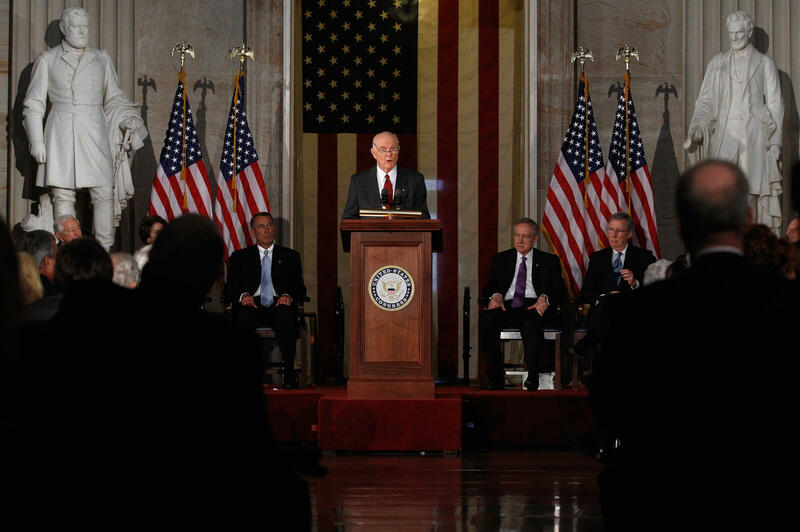 Glenn delivers remarks after being presented with the Congressional Gold Medal during a ceremony at the U.S. Capitol, Nov. 16, 2011 The medals were presented to Glenn and Neil Armstrong, Michael Collins and Buzz Aldrin, the crew of the Apollo 11 mission to the moon. Glenn at his office in Columbus, Ohio, in 2012. John Glenn stands beside a Mercury capsule during training at Cape Canaveral, Fla., in 1962. 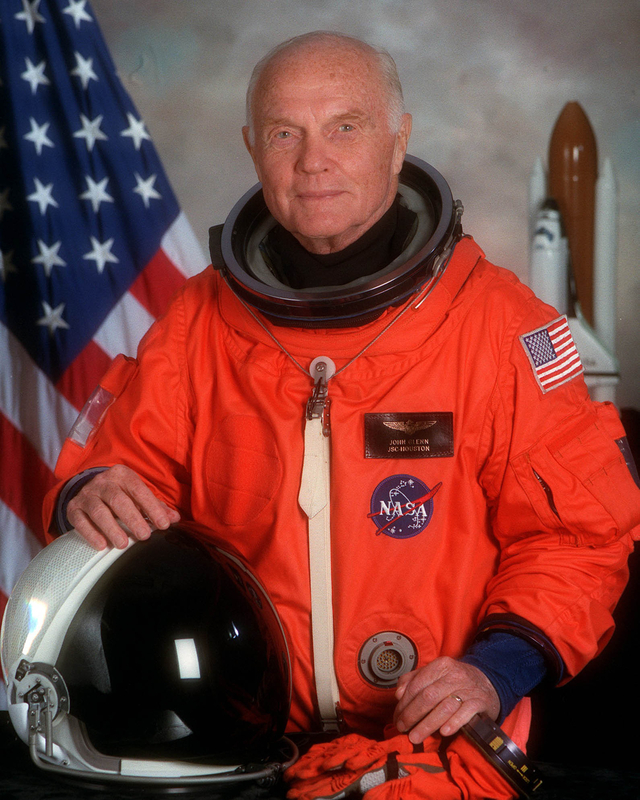 Portrait Of U.S. Sen. John H. Glenn Jr. in 1998, when he served as Payload Specialist For Space Shuttle Sts-95. 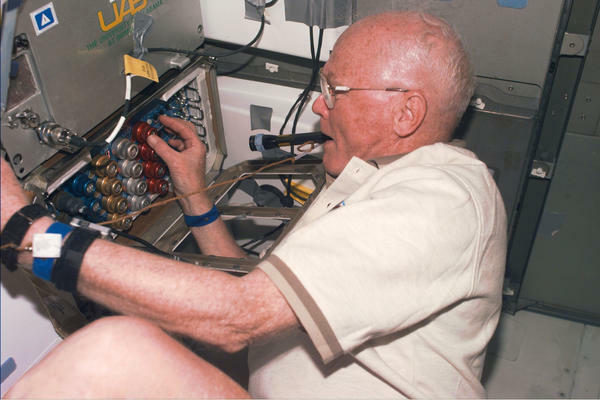 The first American to orbit the Earth has died. John Glenn was 95 years old. He was the last surviving member of the original Mercury astronauts. 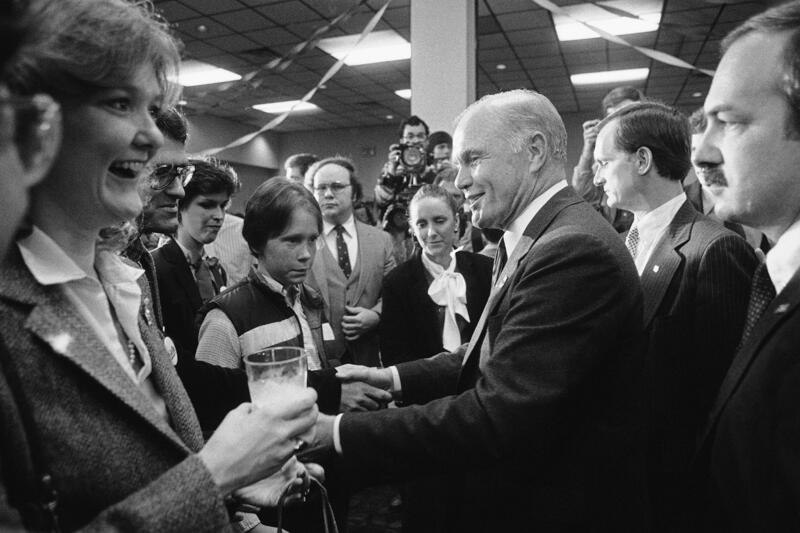 He went on to have a long political career as a U.S. senator, and then John Glenn made history again. In 1998, he became the oldest person to fly in space when he flew in the space shuttle Discovery. NPR's Russell Lewis has this remembrance. 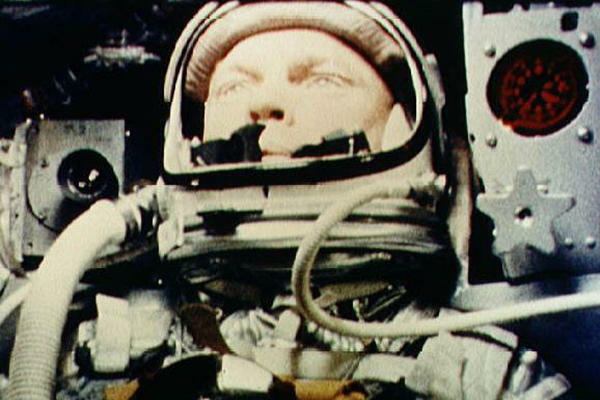 RUSSELL LEWIS, BYLINE: In 1962 when John Glenn rocketed into space, it was momentous and nerve-wracking. LEWIS: Space travel was in its infancy. 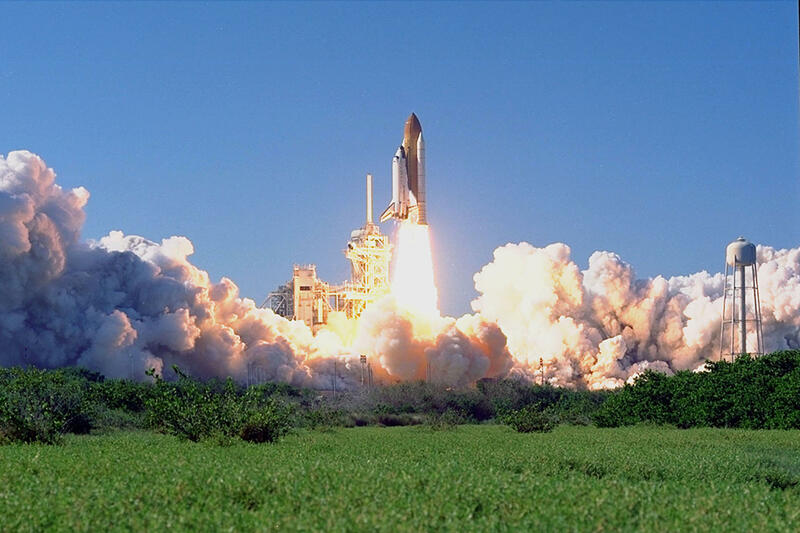 Every launch, every mission captivated the imagination of America. 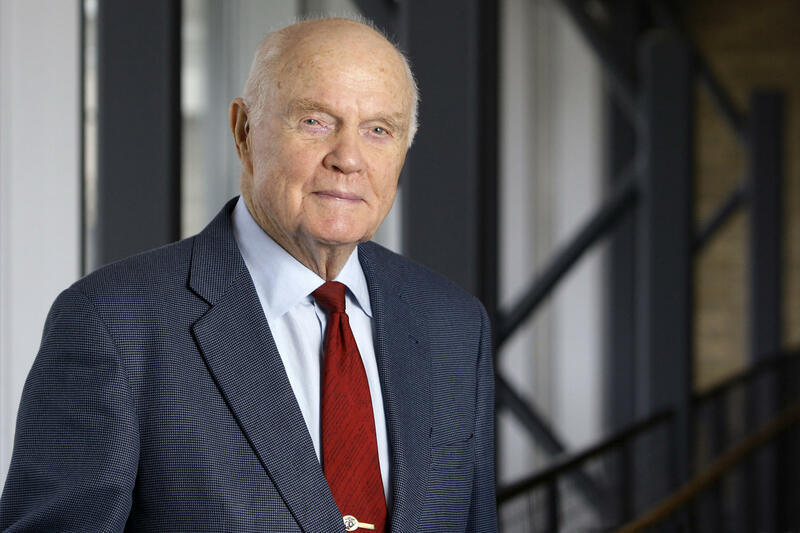 JOHN GLENN: Roger. The clock is operating. We're on our way. LEWIS: A few minutes after liftoff, Glenn's Friendship 7 capsule reached orbit, and people listened in with excitement and awe. GLENN: Roger. Zero-G, and I feel fine - capsule is turning around. Oh, that view is tremendous. LEWIS: So much about space in those days was unknown and laughable today. Scientists designed experiments to study whether astronauts could eat or drink in space. Doctors were concerned that human eyes would change shape, making it hard to operate during re-entry. Then there was the technology. Rockets exploded during testing sometimes with the astronauts watching. 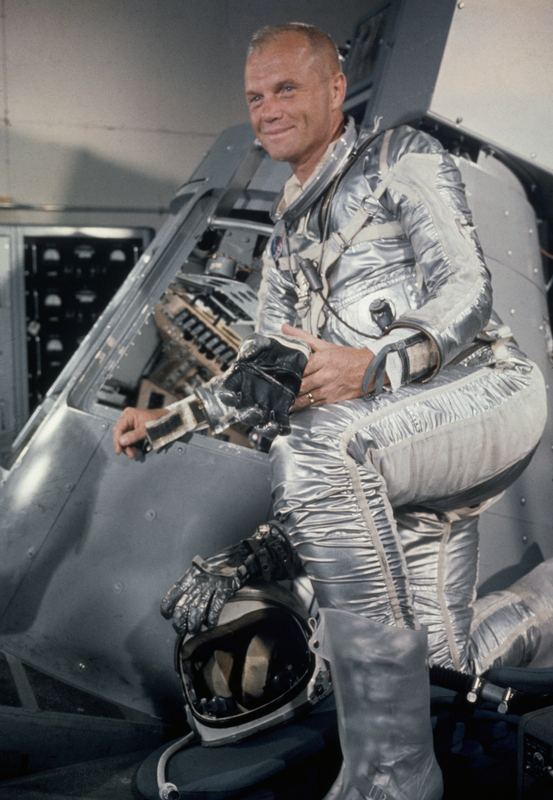 In 2012, on the 50th anniversary of his Mercury flight, Glenn reflected on the danger. GLENN: It was important because of the Cold War. It was a new step forward, and we were proud to be representing our country there. And so it was a - you made it as safe as you possibly could, and what little bit of risk was left was - we accepted that. LEWIS: Any trip to space is risky, and Glenn's mission was no exception. During his three-orbit flight, controllers were concerned about an automated warning that the capsule's heat shield had come loose. After the flight, he became a national hero. He befriended President John F. Kennedy and received a ticker tape parade in New York City. FRANCIS FRENCH: I think John Glenn will be remembered as an actual hero at a time when heroes are often called heroes but are not. LEWIS: That's Francis French, who's written many books on the space program's early days. French says Glenn was basically an all-American boy with a photogenic smile and a quick wit. 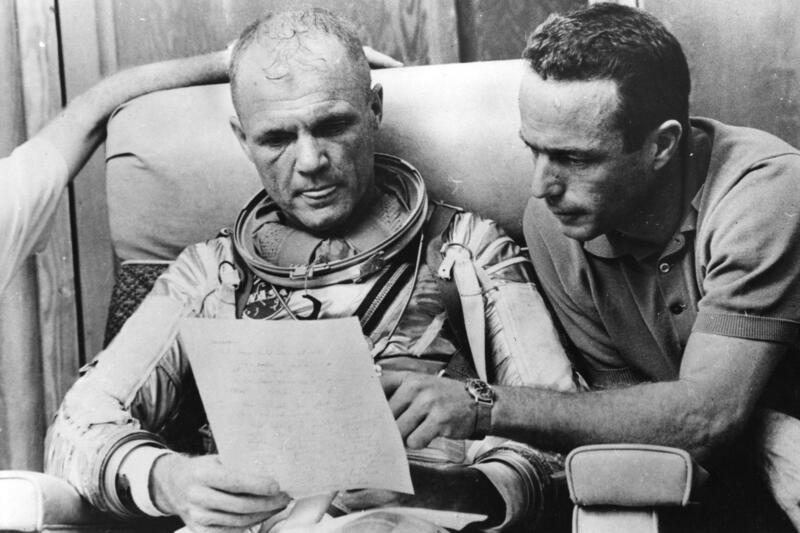 FRENCH: I think that John Glenn's one of those people that's going to stay in the history books, and even the most cynical of history readers is going to go, this guy actually is what everybody says he was. He's going to be somebody who was exactly the right place at the right time for when America needed somebody to not only become the first American to orbit the Earth but to actually project what it meant for America to put a person into space. LEWIS: Glenn was a highly decorated Marine who flew in World War II and the Korean War and served as a test pilot. He left NASA in 1964. Later he would learn at the time NASA and President Kennedy deemed him too valuable to fly in space again. 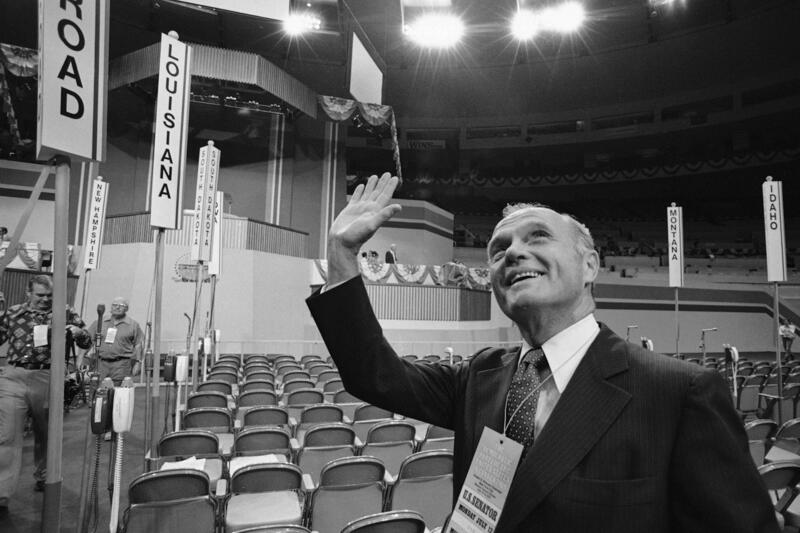 In 1974, he was elected to the U.S. Senate and served 25 years. He was one of NASA's biggest boosters on Capitol Hill. At the end of his political career, he lobbied NASA to fly in space one more time. In 1998, he spent nine days aboard the shuttle Discovery for science. GLENN: I had - for four days, I had 21 different leads - brain waves and respiration and EKG, had 21 different body parameters being recorded and sent down to the ground. LEWIS: As a 77-year-old, he became the oldest person to fly in space, and it revived public interest in NASA. But when NASA canceled the shuttle program and scaled back its ambitious exploration efforts, Glenn lamented the loss. He spoke during a 2011 forum at the National Air and Space Museum. GLENN: The average person is better educated - was back years ago - than most people in the world. And then we put more into basic research. We learned the new things first. And that little combination is just as true today. If we lose that edge in research and education, we won't be a leading nation in the world. It's that simple. LEWIS: John Glenn even well into his 90s fighting for two things he loved - NASA and making the United States a better place. Russell Lewis, NPR News. Transcript provided by NPR, Copyright NPR.